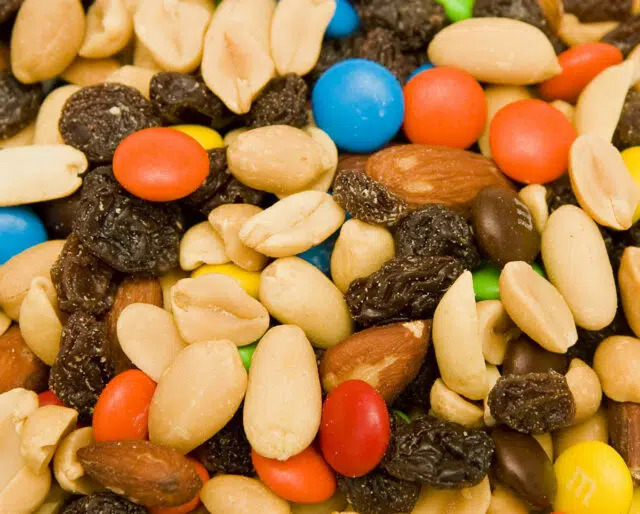 Observed each year on August 31, National Trail Mix Day honors the mix created as a healthy snack to be taken along on hikes in the great outdoors. What makes trail mix so special? Not only is it a nutritious combination of granola, nuts, dried fruit, and sometimes chocolate, but it’s also lightweight, easy to store, and provides a quick energy boost and sustained energy. So what are you waiting for? Grab a handful and let’s celebrate! Make trail mix and mix up the fun! Go to your local grocery store to buy the ingredients, mix together, and handle business. Plan a trip with friends and mix up the fun! For your eating pleasure, for the office, your favorite hiking crew, or for loved ones – make sure people recognize National Trail Mix Day with a tasty serving! You can do it, it’s so simple! Plan your hiking trek or other physical activity, get some cardio in enough to feel hungry, then enjoy every single crunch of your coveted trail mix as you conquer the trails. Sometimes, when we go out to enjoy the beautiful outdoors, we don’t like want to be challenged. We crave the taste of the familiar and nothing's more familiar, at least to Americans, than the taste of good ol’ trail mix while backpacking in many of the great national parks of America. While some people love sitting down and taking their time to enjoy a snack, some just simply have a fast-paced lifestyle. For those people always on the go, trail mix is always a great idea. Plus, trail mix has a long shelf life! Trail mix bag? Check. Person hungry for trail mix? Check. Hike planned out? Check. Go for it, enjoy the simple things in life. Make sure you hike and explore nature regularly, it’s healthy for you.